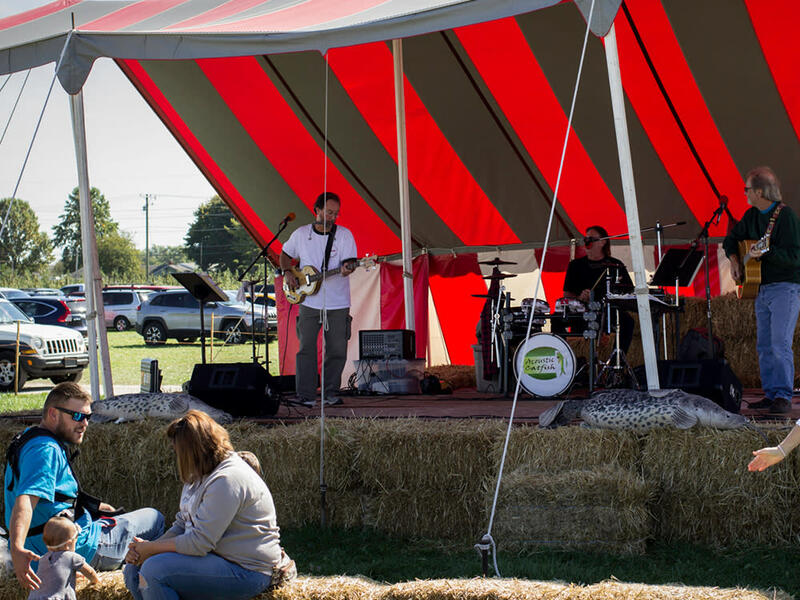 The Heartland Apple Festival, one of the most popular fall festivals in Central Indiana, spans two weekends in October every year. 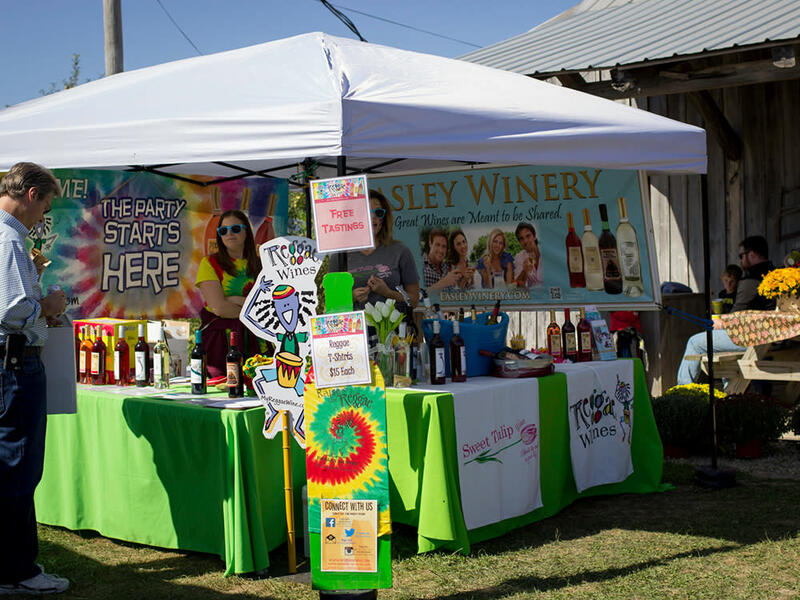 Attractions include live music, the Barnyard Bonanza family fun area, hayrides to the pumpkin patch, a fun and challenging corn maze, wine tastings featuring Indiana Wineries, a wide array of delicious food and high-quality arts and crafts vendors! 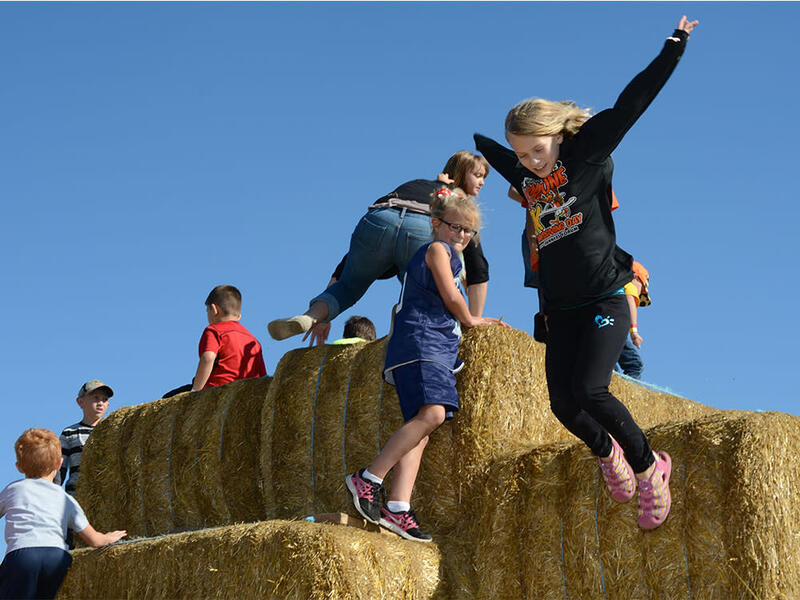 Various ball toss stations, a massive jumping pillow, spider web crawl and various other activities make the Barnyard Bonanza a popular stop for children of all ages, and just a short run away your kids will find the popular straw mountain so tempting that they must climb to the top. You are in Indiana after all, so why not make a fun activity out of the state's No. 1 crop. Featuring a different design every year, an artistically themed maze is etched into the 8-acre corn field that sends families into a twisting, turning adventure. Instead of using a map to find your way, Beasley's maze is navigated using a passport. Numbered markers throughout the maze require you to answer a question. If you're correct, you'll get a hint about which way to turn next. If you're wrong, you will be sent down the wrong path. Either way, the fun never stops until you reach the end. 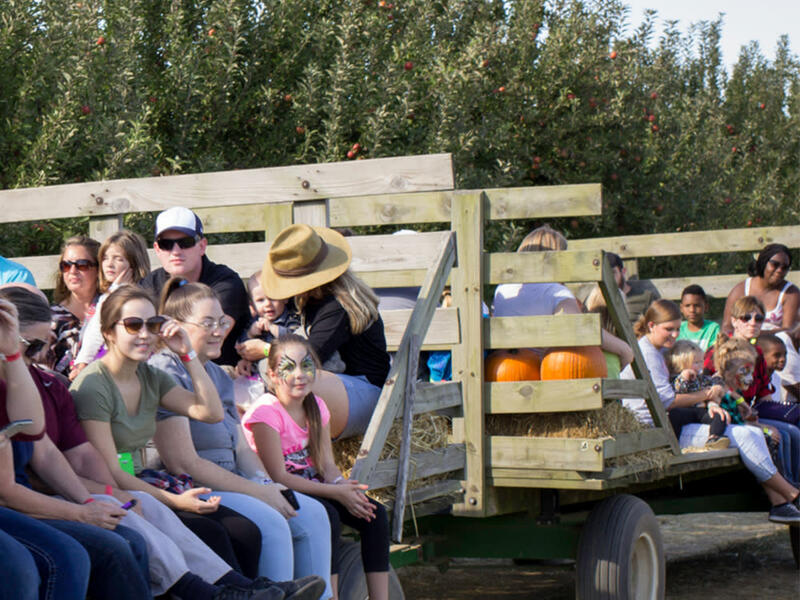 It wouldn't be fall without a fun ride through the orchard to Beasley's pumpkin patch. 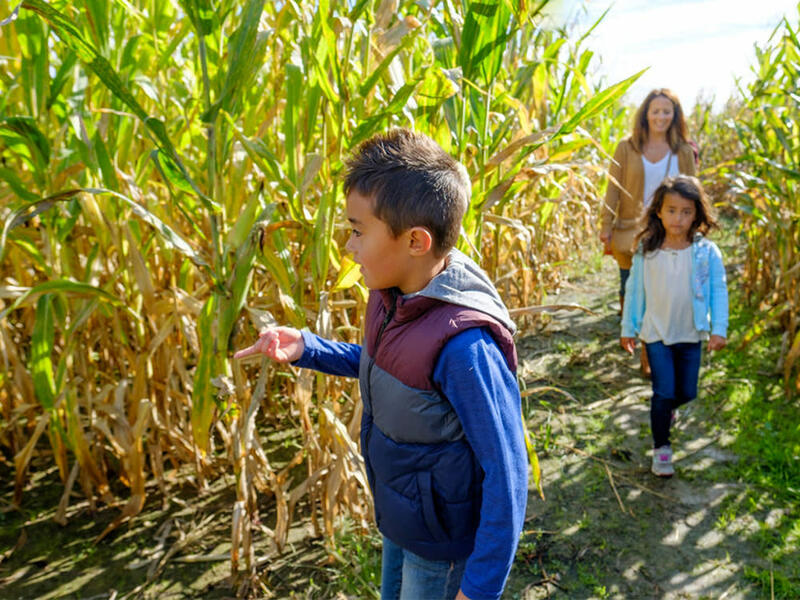 Acres of orange-dotted fields give families plenty of opportunities to find the perfect pumpkin or four to take home, carve, decorate or just admire. And in this case, you will find the journey is just as fun as getting to the destination. This relatively new attraction has quickly become one of the favorites of all visitors to the orchard and this festival. 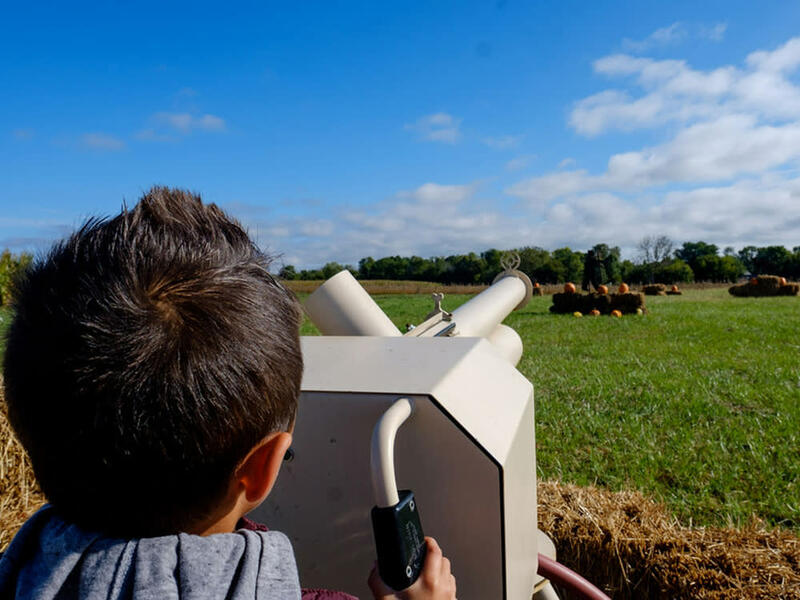 Fire apples from air-compressed cannons and try to hit metal targets. This is guaranteed fun that will have you going back for more baskets of apples to shoot. A variety of entertainment including live music and puppet and magic shows occur on the center stage throughout both weekends. Beasley's opens a small portion of their orchard each year to the public to wander through finding that perfect red or golden apple straight from the tree! 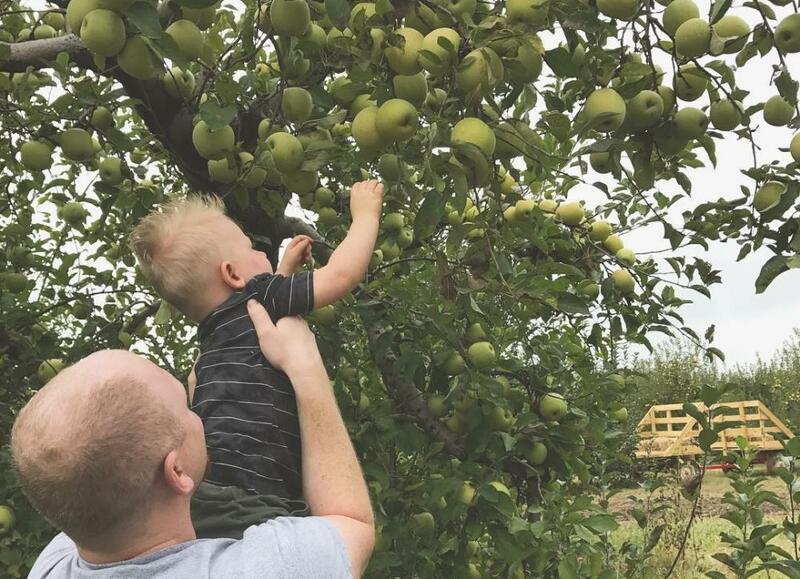 Visitors can fill a half-peck bag or a full peck at their leisure while letting their children explore, climb and pick all while learning where apples truly come from. While the kids play, the adults can shop until their hearts' content (or they run out of money) among the various craft vendors outside and the Civil War-era barn turned farm market inside. Beasley's apples and other fresh produce along with a variety of other local goods can be purchased inside the barn, and don't forget to grab a cider slushie or two.